MED-EL is here to support you every step of the way on your hearing journey.Thousands of people in more than 100 countries enjoy the gift of hearing with the help of a MED-EL system. 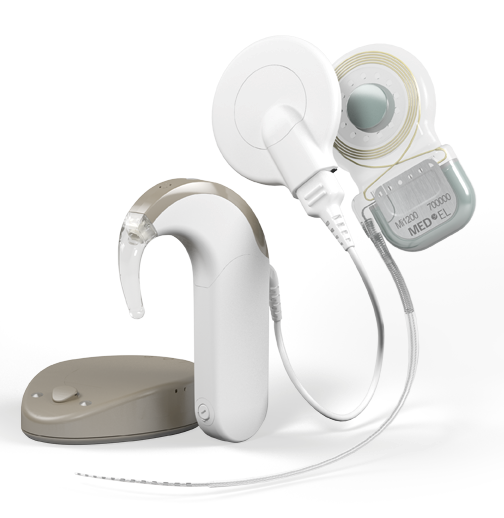 We are proud to develop state-of-the-art hearing implant solutions that are supported by interactive rehabilitation resources, excellent customer service, and the opportunity buy all the latest accessories and spares direct in the UK. Never miss a moment thanks to automatic sound management (ASM 2.0). This state-of-the-art technology quickly adapts your listening programme in different environments so that you don’t have to. Automatic volume control, wind noise reduction, and microphone directionality also make listening effortless. Designed with toddlers in mind, ActiveWear provides a lightweight control unit worn behind-the-ear, with the battery pack securely attached to clothing using the new SONNET Attachment Clip. At 6.1g on the ear, it’s the lightest and smallest on-the-ear option available for children, providing maximum comfort and a stylish design. For infants the BabyWear offers the complete freedom of nothing behind-the-ear. BabyWear allows the entire audio processor to be attached to a baby’s clothing providing maximum comfort and security. With built-in wireless-ready connectivity and the choice of a range of accessories make the SONNET ideal for people of all ages. 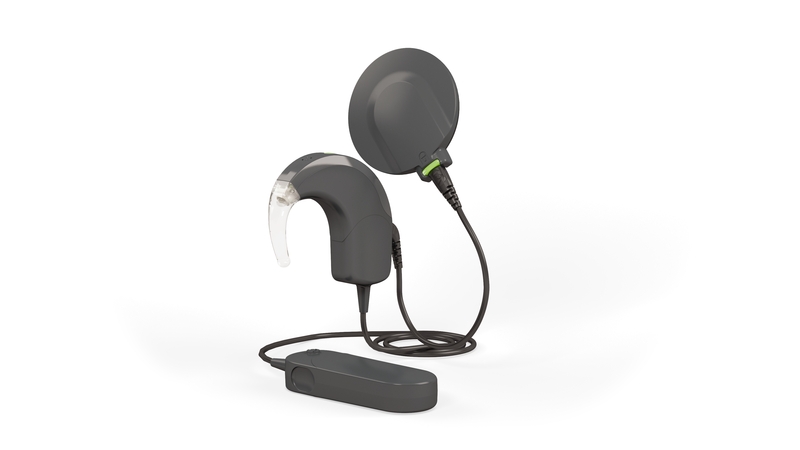 Did you know that you can connect to any Roger device thanks to Phonak’s new Roger 21 SONNET cover with fully integrated Roger receiver? The RONDO is the world’s first single-unit processor, providing users the benefit of having no weight on your ear. It combines the coil, control unit and battery pack into a discrete single-unit device that you hide under hair. 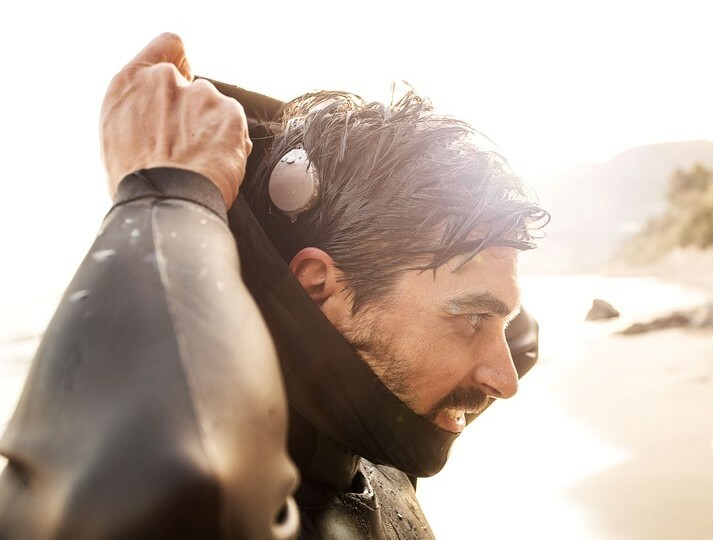 The WaterWear is a skin-tight transparent cover placed over the SONNET or RONDO audio processor and closed with an adhesive strip to provide a tight seal. Its IP68 protection rating means that you can go swimming in natural, chlorinated, or salt water whenever you want. For the first time ever, cochlear implant users can undergo high-resolution MRI scans at 3.0 Tesla without the need for additional surgeries to remove and replace their implant magnet. 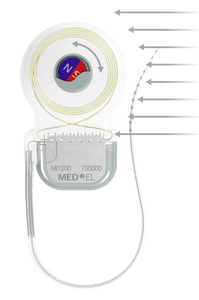 Only the SYNCHRONY implant features a revolutionary magnet that means MED-EL users have the highest MRI compatible implant currently available. No pain, no surgery, and hearing again immediately after a scan. 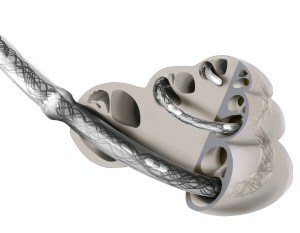 MED-EL is open about the reliability of all our cochlear implants and audio processors. We regularly publish detailed reliability information online for everyone to see. Preserving the delicate structures of your cochlea is vital to help you benefit from any remaining natural residual hearing today, as well as potentially accessing the latest hearing technologies available in the future. That’s why only MED-EL offers the largest range of soft, flexible electrodes, proven to help preserve the delicate structure of your cochlea. Free apps, downloads, and interactive tools are available on the MED-EL website to help you to improve your listening skills. Regardless of your age or current abilities there are resources available. Need to talk to someone? Why not talk to people who have been in your situation and are now living with an implant?